The Mansfield Downtown Partnership and the Town of Mansfield host free concerts every Thursday in June and July on Betsy Paterson Square in Downtown Storrs. 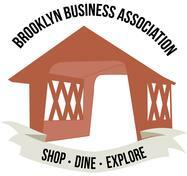 All performances will take place from 6:30 PM to 8:00 PM. All of the concerts are free and open to the public. The rain dates are on the following Tuesday, unless otherwise noted. Mansfield residents and friends will enjoy a diverse line-up of musical entertainment for all ages. Visitors are welcome to bring a blanket or a lawn chair and enjoy the music with their friends and neighbors. 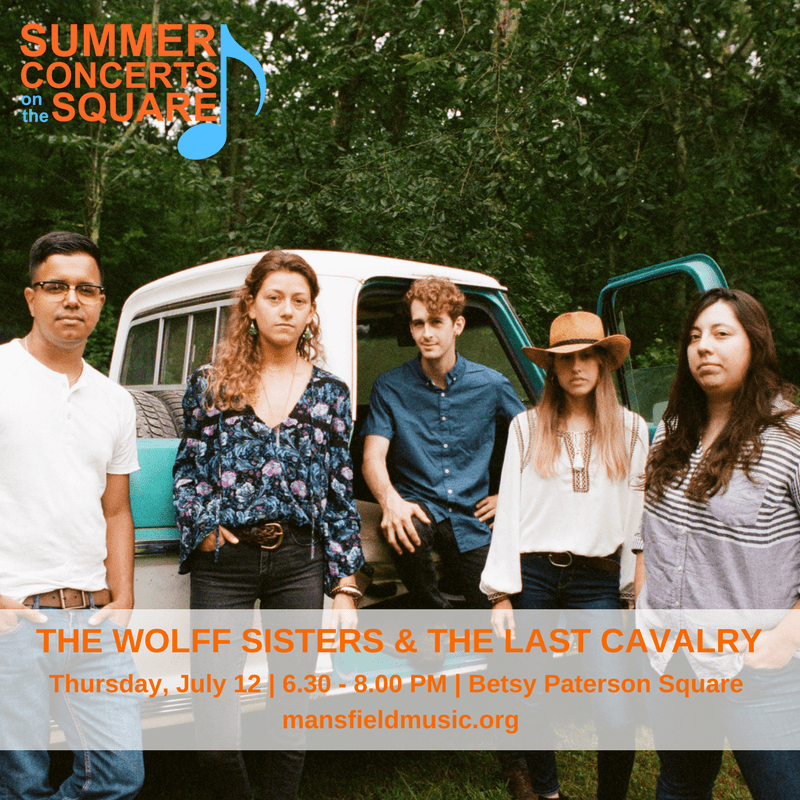 Gritty and raw folk-rock outfit The Wolff Sisters & The Last Cavalry first broke into the Boston music scene as an acoustic trio. With haunting harmonies and songs reminiscent of washed up wanderers on New England’s salty coasts, Rebecca, Rachael, and Kat stole Boston’s heart as The Wolff Sisters (yes, they’re really sisters). Born to a poet and a musician, they grew up on the heavy realism of Dylan and Springsteen blended with the loose and loud Rolling Stones. Drawing inspiration from blues giants like Howlin’ Wolf and modern storytellers Dawes, The Wolff Sisters don’t fit into one genre of music. With Rebecca on acoustic guitar, Rachael on electric guitar, Kat on keys, and all three on vocals, the sisters spent years honing their sound together in an old victorian house just outside Boston. In 2015, the trio amplified their performance with the addition of The Last Cavalry. With Joe Soldati on bass and Will Rodriguez on drums, the band seeks to bring that loose blues, roots, and rock ‘n’ roll sound back into the forefront of the music scene. The Wolff Sisters & The Last Cavalry released their second album, Cahoon Hollow, in March 2018. The Summer Concerts on the Square are made possible with the generous support of The Oaks on the Square, UConn Summer & Winter Programs, Amazon@Storrs, Barnes & Noble UConn, Mooyah, National Institute of Clinical Application of Behavioral Medicine (NICABM), and Storrs Center Retail. For more information, please visit mansfieldmusic.org. For weather updates and other announcements, please follow Downtown Storrs on Facebook, Instagram, and Twitter.